General Insurance Corporation may have to pay $25 million, or Rs 120 crore, as its share of claim arising out of the crash of an aircraft of Afriqiyah Airways, a Libyan airline. A company executive said GIC's share in the reinsurance programme would be around five per cent. "The crash will lead to a hull loss of $ 100 million (insurance cover of Airbus 330). This will result in a hit of $5 million under the hull policy. The claim arising from liabilities is not known yet," said a senior executive. The claim would arise from both hull and liability covers taken by the airline. 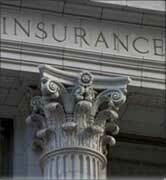 The reinsurer expects total insurance cover to be around $500 million. The airline has not yet estimated or lodged any claim. The executive added that the payout towards passenger liability varied from one country to another. For example, an American gets $5-7 million and a European $3-4 million. News reports said over 100 people died in the crash. Last year, GIC saw a number of claims arising from airline losses. The state-owned reinsurer saw claims on account of various accidents such as crash of Air France and Iran Air aircraft. It took a hit of Rs 65 crore (Rs 650 million) in the former and Rs 25 crore (Rs 250 million) in the latter crash. Following these incidents, rates had hardened in both domestic and international markets. In the domestic market, rates rose 10-15 per cent last financial year. The Libyan airline crash is the first aviation loss this financial year.